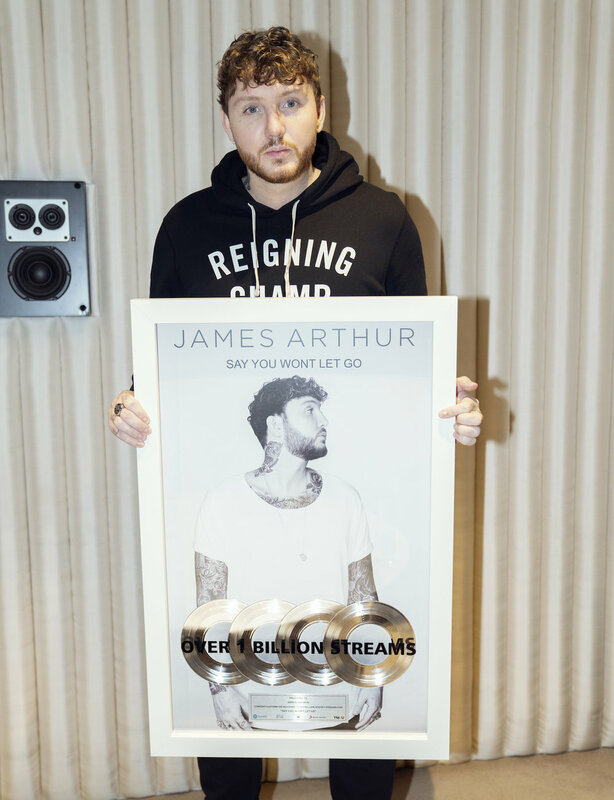 James Arthur is awarded a disc for reaching a BILLION streams on Spotify with his No.1 global hit 'Say You Won't Let Go'. Only 18 records have achieved a billion streams on Spotify in history, and James is one of 10 artists globally to do this including Drake, Ed Sheeran and Justin Bieber. James says: "I'm really proud that this song keeps growing and growing. 2019 is going to be a busy year for me – there will be more music and a tour. I can't wait for everyone to hear what I've been working on."